While many people assume that going to the dentist only affects their oral health, it actually does much more. 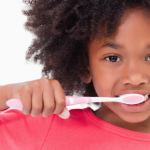 Among children, the effects of oral health are even more apparent. Children’s oral health impacts their natural development, mental health, and risk for long-term health conditions. According to the World Health Organization, oral health is a key indicator of wellbeing and overall health. That’s one reason why it’s so important to know how to keep your kids’ teeth healthy! Here are three things you may not have known about pediatric dentistry and its influence on your child’s overall wellbeing. Early childhood cavities can slow development. 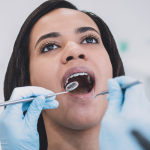 Taking your child to the dentist by their first birthday is recommended to ensure that incipient cavities can be detected and treated early on. When a cavity is allowed to progress, it often impacts children’s food consumption and nutrition. Insufficient caloric intake due to toothache is a major cause of delayed growth among children. If your child cries or expresses reluctance to eat, especially hard foods, it is important to determine whether a cavity is the culprit. Dental caries cause difficulty chewing and eating, leading to nutritional deficiency and lack of sufficient weight gain. Fortunately, a cavity can be halted and even reversed with prompt treatment. Oral health and mental health. 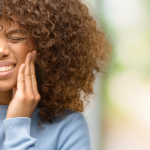 Children who suffer from chronic dental caries often experience other negative impacts, such as decreased self-esteem, difficulty concentrating, and even depression. They are more likely to have problems completing schoolwork and miss more school days than children without cavities. Even more troubling, there is a positive correlation between oral health and mental health. 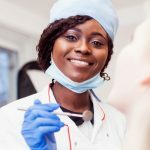 People who develop mental health problems are more likely to suffer from poor oral health, while poor oral health can have wide-ranging psychological effects, including poor self-image and social anxiety. Protect your child by practicing the oral health basics: brushing, flossing, and regular dental appointments! Risk for diabetes. While most parents are unlikely to think about how their children’s oral health could raise or lower their risk for these chronic conditions, they should know the facts. Diabetes now affects 9.3% of the U.S. population and the epidemic only continues to grow, including among young people. In many cases, diabetes is first identified by the dentist because of the oral symptoms it presents. New research shows that gum disease, a common problem experienced by patients with diabetes, can elevate blood sugar levels long term. This indicates that maintaining good gum health can actually act as a protective factor against diabetes. Especially if your child has gum inflammation, it is vital to continue making regular trips to the dentist for monitoring and treatment. How Do I Keep My Kids’ Teeth Healthy? Fruit juices. Though they may seem like the “healthy choice,” fruit juices are often loaded with sugar that will remain on children’s teeth long after drinking. Instead, eating fruit is recommended to avoid exposure to high concentrations of sugar. Sleeping with the bottle. Many childhood caries develop because of prolonged exposure to the sugars present in milk. While it’s impossible to eliminate this risk completely, you should avoid letting your child fall asleep while drinking. You can help him or her to learn to drink water before sleep instead! Candies. It can be difficult to resist your child’s pleas for candy, but remember that reducing hard candy intake is in their interest! Eating candy on a regular basis puts your child at much greater risk for cavities. 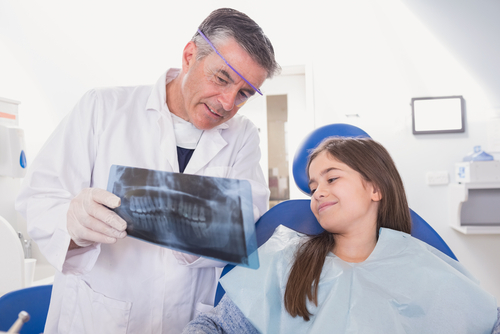 The team at Penn Dental Medicine can help you ensure that your child grows up with the best possible oral health. Visiting the dentist regularly during childhood is essential to detect oral problems early on and treat them before they become serious. To make a pediatric appointment with a student dentist, please call us at 215-898-8965 today. Don’t forget to use this coupon for 25% off your first visit!